How are you all doing this fine Tuesday morning? Can you believe it's Valentine's Day tomorrow?! I feel like this year it just crept up so quickly! 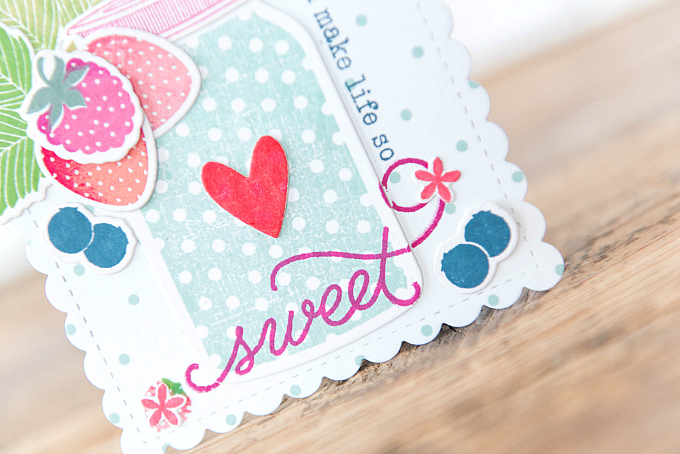 I created these sweet little tags for Papertrey Ink's Retired Stamp set Challenge...And of course, they were inspired by the day of love. 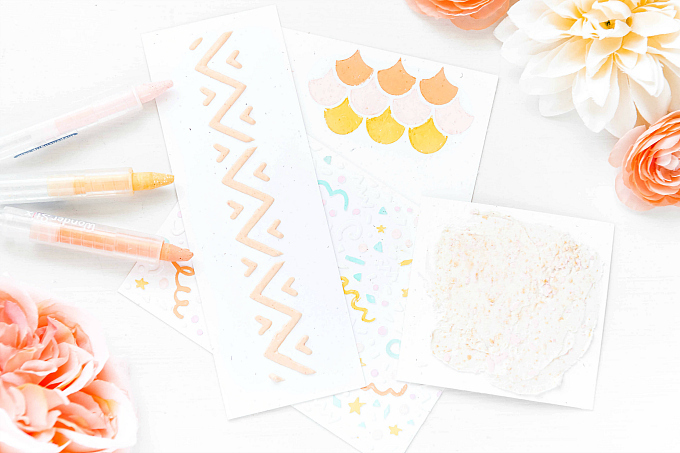 Speaking of retired stamp sets, have you taken a peek at all the sets that will no longer be offered past May of this year? It's sad to say goodbye to gorgeous artwork and I cannot even imagine how hard it is for the PTI team to decide each year what sets go and which ones stay....But I am certain that the team has many exciting new releases coming up and I am so anxious to see what the new year brings. 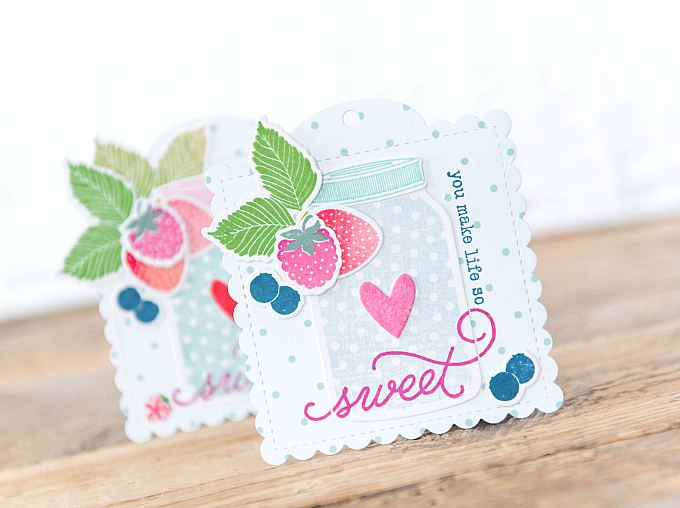 Today I decided to pay tribute to one of my most favorite sets that I haven't pulled out in a while...Strawberry Patch Sentiments. I am SO glad that I picked this set up and it's one that I know will remain a classic for years to come. I do encourage you to grab one before they're all gone! 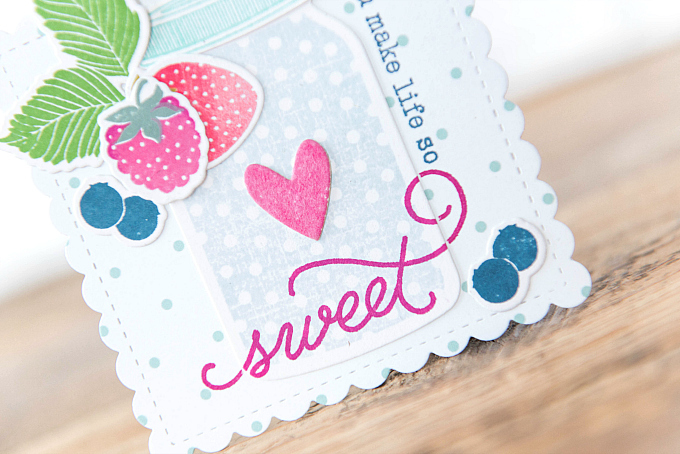 For the base of these little tags I used the new Tag Sale: Quilted die along with some sweet polka dot paper. Layered on top of the paper I added a little mason jar, cut using PTI's Jar and Lid die, stamped with a polka dot background from PTI's Friendship Jar stamp set, using PTI's Spring Rain dye ink. 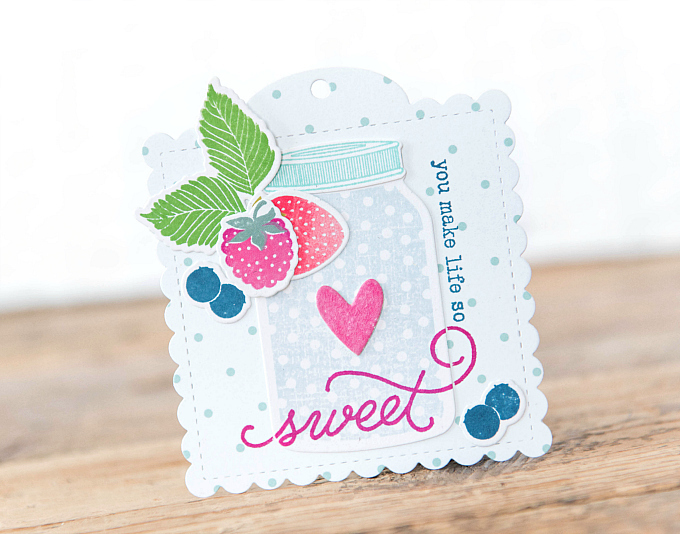 I just so happened to have these sweet little berry stamps and dies from WPlus9 and thought they would make a lovely addition to the tags. 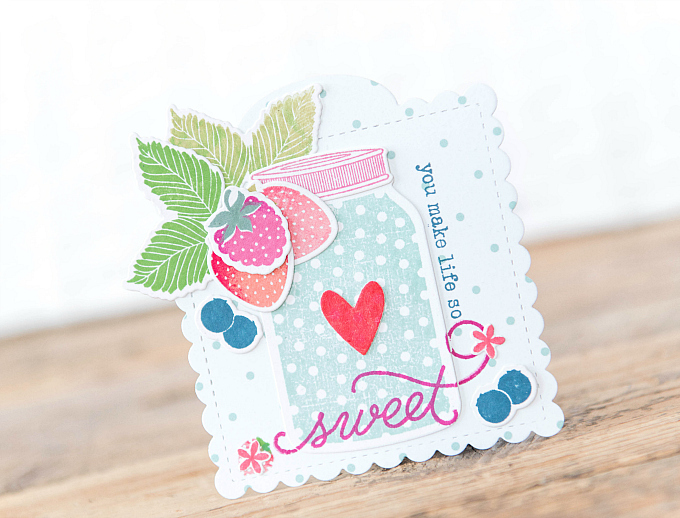 All the berries are stamped using the Fresh Picked stamps and dies from WPlus9. I used Hibiscus Burst, Raspberry Fizz, Melon Berry, Pale Peony and Enchanted Evening ink from PTI for all the stamping. 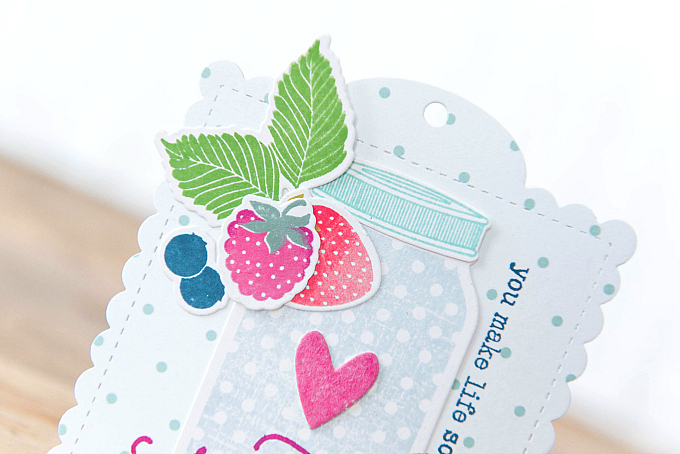 The sentiments on both tags are from PTI's Strawberry Patch Sentiments stamps. For the leaves I used ink colors of New Leaf, Spring Moss and Ocean Tides. I hope you all have someone near and dear to your heart to share Valentine's Day with. We will be celebrating today, in lieu of my hunny's travels - but we have a wonderful night planned and I am so looking forward to it. These are as sweet as can be! 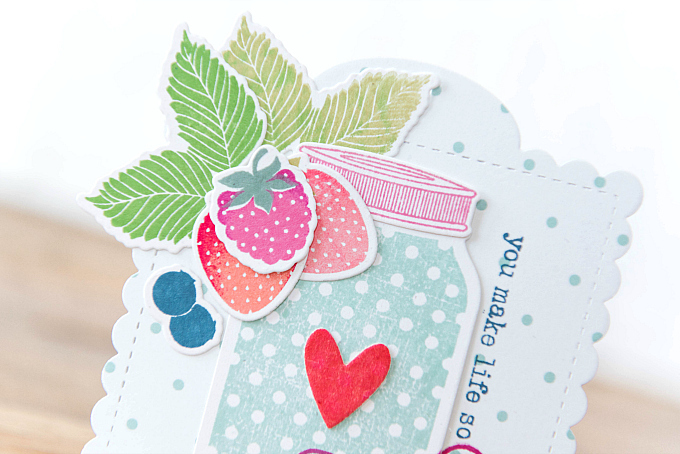 You have me wanting to head over to PTI to order those yummy little berries! Thanks a heap, Lisa! Aren't the berries just too cute? Just a note - they're actually from WPlus9, but I can't seem to find the link for the stamps. They are called "Fresh Picked". Hope that helps!